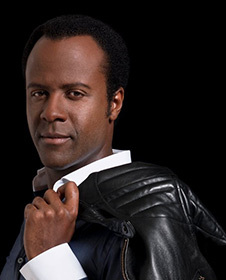 Kenneth Tarver is considered to be one of the most outstanding belcanto tenore di grazie of his generation, acknowledged for his beauty of tone, virtuosic technique, extensive and even vocal range, coupled with an attractive and elegant stage presence. He has appeared at some of the world’s most prestigious opera houses, such as the ROH Covent Garden, Wiener Staatsoper, Deutsche Oper, Staatsoper Unter den Linden, Bayerische Staatsoper, Dresden Semperoper, Gran Teatre del Liceu, Opéra Comique París, Lirico di Trieste, La Monnaie Brussels, Metropolitan Opera, San Carlos Naples or the Festival d’Aix-en-Provence. Kenneth Tarver is a specialist in the most demanding virtuosic operatic repertoire. Recent successes include the role of Orfeo in Haydn’s L’Anima del Filosofo at the Budapest Festival conducted by Adam Fischer, Gluck’s Orphée et Euridice at Staatsoper Stuttgart, Mozart’s Idomeneo at La Monnaie with Jérémie Rhorer, Haydn’s Orlando Paladino at the Concertgebouw Amsterdam with Alessandro De Marchi and Haydn’s L’Infedelta Delusa at the Musikverein Vienna conducted by Nikolaus Harnoncourt. Kenneth Tarver has been invited to perform on prestigious concert stages, amassing an impressive repertoire of both well know and seldom performed masterpieces with such conductors as Zedda: Rossini’s Moise Et Pharaon, L’inganno Felice, La Gazza Ladra, La Scala Di Seta, Adelaide Di Borgogna, Chailly: Stravinsky Pulcinella, Bach’s Matthäus-Passion, Johannes-Passion, Rizzi: Rossini’s Armida, McFerrin: Handel’s Messiah, Bruggen: Mozart’s Requiem. Other highlights include Rodion Shchedrin’s My Age, My Wild Beast, a film of Judith Weir’s Armida for Channel 4 TV in the UK, Orff’s Carmina burana at the Verbier Festival and Mozart’s Requiem at the Tanglewood Festival conducted by James Levine. At the beginning of the next season Kenneth Tarver will be Aufidio in Mozart’s Lucio Silla at Teatro Real in Madrid and subsequently take over the tenor part in Hector Berlioz’ Requiem with the Seattle Symphony Orchestra under its Music Director Ludovic Morlot, where he will also be heard in Ravel’s Chansons Madécasses as well as in a staged version of Igor Stravinsky’s oratorio Perséphone. Another seasonal highlight will be Rossini’s Petite Messe Solenelle at the Wiener Konzerthaus and at the Philharmonie Luxembourg under its Music Director Gustavo Gimeno. As a favoured artist Kenneth Tarver has an impressive recording catalogue including collaborations with important labels such as Deutsche Grammophon, LSO Live, Opera Rara, Harmonia Mundi, BBC Opus Arte and TDK. As an accomplished recitalist, Kenneth Tarver was also featured on the series of complete Ives songs on the Naxos label.